• Flexible, user-friendly report writer for your CRM data. • Run reports on demand from Excel, web or auto-distribute reports by email. • Any entries in MS CRM are immediately available in BI360 reports with no delaying transfer to OLAP cubes or external systems. • Install BI360, download the pre-built CRM report templates and in less than 5 minutes start seeing your CRM data in ways you have never been able to before. • Integration is out-of-the-box, with an interface to add custom CRM fields if needed. • Get increased visibility and control of your CRM data and at the same time watch the sales team quickly become motivated to capture updated data in CRM due to vastly improved reporting output. For a list of FAQs, and even more options and examples for reporting, planning and dashboards that run live on MS CRM, get our free white paper here. The BI360 Excel-based report writer is not only easy to use, but is one of the most powerful reporting tools on the market. Now with a Salesforce integration, it opens a whole new world for all the Salesforce customers world-wide that are accustomed to exporting their Salesforce data to Excel for reporting purposes. BI360 is the most modern Excel-based report writer on the market and now Salesforce customers can fully automate their pipeline reporting and even combine it with financial reporting and budgeting/forecasting, as these are core features in the BI360 suite. By completing the Salesforce connector, we’ve further realized our strategy to build a library of pre-defined connectors to cloud-based and on-premises data sources. In less than 15 minutes, customers can now configure the connector, populate the BI360 Data Warehouse with Salesforce data and run pre-defined reports, as well as using the modern BI360 Excel-based report writer to create their own reports. 1. 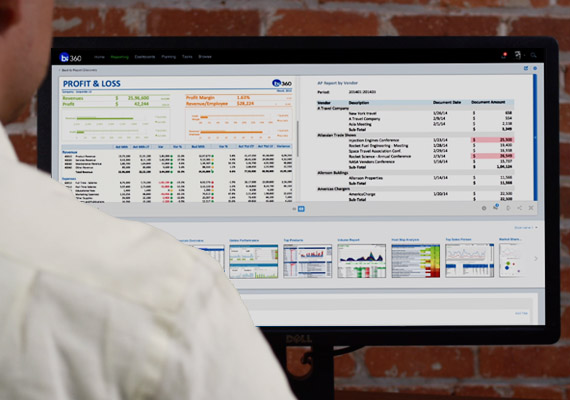 Powerful Excel- and web-based sales pipeline reporting that business users can manage. 2. Combine Salesforce sales pipeline data with your ERP data through the BI360 Data Warehouse for a combined view of actual data and forecast data. 3. Very quick and non-technical to get up and running. Learn more by downloading our complimentary whitepaper.